This scarf is suitable for a beginner, but it’s stylish enough for anyone and everyone. It looks like it has a nice texture, and the fringe is nice too. 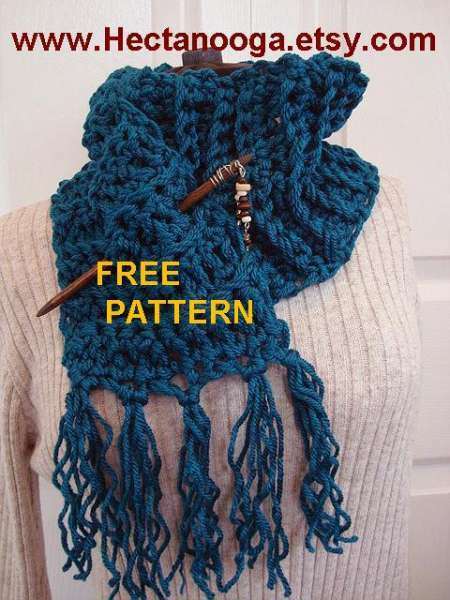 You will need a worsted weight yarn and a 9 or 10.5mm crochet hook to complete this pattern.